Leave as a force to be reckoned with. In a shifting landscape where rapidly evolving technology means never-ending disruption, team collaboration is more important than ever before. Retail and Retail’s Big Show are exploding with opportunity. Bring your team to take advantage of it all. Let your team be inspired, challenged and encouraged by these industry leaders and luminaries. Your team will turn big ideas into reality with help from innovative speakers sharing proven tactics. The best of the best are in our EXPO, and they are offering a peek at tomorrow's technology today. Back by popular demand! Thishands-on immersive experience lets your team test-drive the latest in AI, AR, VR, and other OMG worthy tech. Save big when you register 5 retail full conference individuals from the same company. That’s all there is to it. Both NRF members and non-members are eligible. 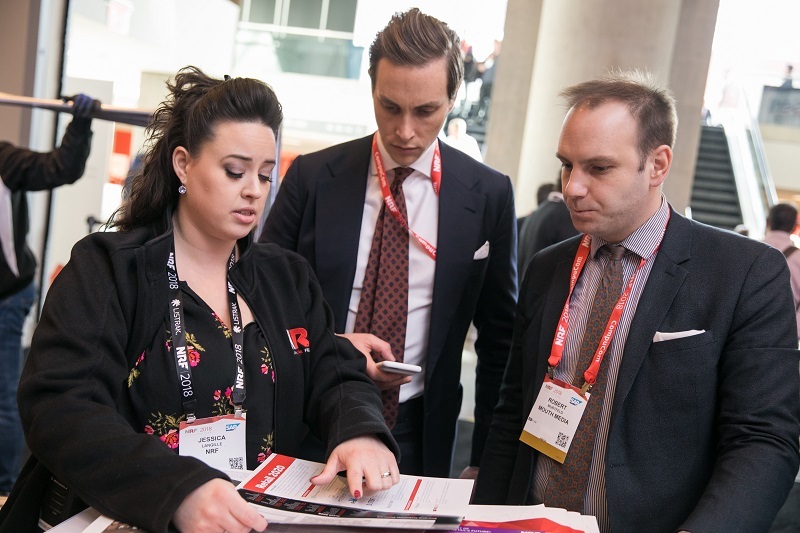 The NRF 2019 Concierge who can answer questions about pricing, team registration and more.